Business leaders are over-educated. Never have I seen so much advice offered to executives about how to do things right. There are hundreds of business management books and over 2000 titles alone in marketing. While there are a few shining examples of brilliant leadership, there aren’t enough. If you study this paradox, the best you can do is categorize the most popular mistakes. So rather than get into the psychology of “Denial” or a study of “Why?”, it makes more sense to lay out what are the traps that keep people from doing the right thing, despite all this advice. Avoid these mistakes and bad things won’t happen. That may be true, but if you’re late into a market space and have to do battle with large, well-established competitors, then your marketing strategy is probably faulty. Me-too just won’t cut it. Consider the efforts of Pepsi in the lemon-lime category. Even though supermarket soda aisles were overcrowded and sales growth was flat, Pepsi launched Sierra Mist, a competitor to Sprite and 7Up. This is after two failed prior attempts (Slice and a product called “Storm”). Well, not surprisingly, that didn’t work out as planned. Today, Sierra Mist doesn’t make the top ten soft drinks and they have moved away from lemon-lime to “Natural” and flavors like cranberry. Good luck. Another disadvantage of being a me-too is that the name of the first brand to market often becomes generic. Xerox, Kleenex, Coke, Scotch tape, Gore-Tex, Krazy Glue and Q-tips all have an enormous advantage over competitive me-too products. If the secret of success is getting into the prospective customer’s mind first, which strategy are most companies committed to? The better-product strategy. Benchmarking is a popular subject in the business management field. Touted as the “ultimate competitive strategy,” it involves comparing and evaluating your company’s products against the best in the industry. It’s an essential element in a process often called “total quality management” (TQM). Benchmarking doesn’t work because regardless of a product’s objective quality, people perceive the first brand to enter their mind as superior. When you’re a me-too, you’re a second-class citizen. Marketing is a battle of perceptions, not products. This may surprise you, but I have spent a good bit of my time over the years figuring out exactly what people are trying to sell. Defining the product category in a simple, understandable way is essential. Companies, large and small, often have a tough time describing their product, especially if it’s a new category and a new technology. Or else, they describe the product in confusing terms that doom the effort right out of the gate. The positioning of a product in the mind must begin with what the product is. We sort and store information by category, your chances of getting into his or her mind are slim to none. When faced with the tough task of coming up with a name for what you’re selling, start with a simple analysis of how the new product works, then try to use those words to describe it. When the automobile was born, it was christened a “horseless carriage”. “Cable television” accurately describes how that system works. The biggest marketing successes come with basic, powerful explanations of the product being offered. All these categories were quickly and easily understood. Customers knew what the companies were selling and how the products were really different. There are times when you can adjust the explanation of what you’re selling to improve your chances of success. A valve company called Keystone was selling what they called a “quarter-turn critical service valve.” While this was an accurate description that reflected how the valve worked, it sure wasn’t easy to figure out what they were selling. When I took a closer look inside the brochure that described this product, I discovered that this was simply a “zero leakage valve.” That was a lot more exciting way to describe what they were selling. A similar change in focus happened at General Mills during a discussion on how to increase the sales of their famous line of “Helpers” (hamburger, chicken, and tuna). They were traditionally sold as “extenders” that made meat go farther. This decidedly downmarket concept isn’t a powerful idea in and of itself, especially when times are good. Another way to look at this product is that all the different variations end up as a casserole of one sort or another. Because General Mills sells hundreds of millions of dollars worth, you could also say that these Helpers are “America’s favorite way to make a casserole.” And they have 57 flavors and many Betty Crocker recipes to support this concept. Appetizing casseroles cut across all income groups. (Hey, Martha Stewart makes them.) Even the American Institute of Cancer Research recommends them as a way to incorporate a wider variety of nutritious food into a single dish. The key to making Hamburger Helper a bigger brand is coming up with a better expression of what they’re selling. The failure to understand the simple truth that marketing is a battle of perceptions trips up thousands of would-be entrepreneurs every year. Marketing people are preoccupied with doing research and “getting the facts.” They analyze the situation to make sure the truth is on their side. Then they sail confidently into the marketing arena, secure in the knowledge that they have the best product and that ultimately the best product will win. It’s an illusion. There is no objective reality. There are no facts. There are no best products. All that exists in the world of marketing are perceptions in the minds of customers or prospects. The perception is the reality. Everything else is an illusion. Most marketing mistakes stem from the assumption that the marketer is fighting a product battle rooted in reality. What some marketing people see as the natural laws of marketing are based on a flawed premise that the product is the hero of the marketing program and that companies win or lose based on the merits of the product. Which is why the natural, logical way to market a product is invariably wrong. It’s bad enough to launch a me-too product but equally problematic is a me-too idea: Two companies cannot own the same concept in the prospect’s mind. When a competitor owns a word or position in the prospect’s mid, it is futile to attempt to own the same idea. Volvo has preempted the concept of “safety.” Many other automobile companies, including Mercedes-Benz and General Motors, have tried to run marketing campaigns based on safety. Yet no one except Volvo has succeeded in getting into the prospect’s mind with a safety message. Another massive marketing effort aimed at someone else’s word can be found in bunny land – to be specific, the pink Energizer bunny that is trying to take the long-lasting concept away from Duracell. No matter how many bunnies Energizer throws into the fray, Duracell will still be able to hang onto the word long-lasting. Duracell got into the minds of customers first and preempted the concept. Even the “Dura” part of the name communicates it. What often leads big companies down this booby trapped lane is that wonderful stuff called research. Armies of researchers are employed, focus groups conducted, questionnaires tabulated – and what comes back in a three-pound report is a wish list of attributes that users want from a product or service. So if that’s what people want, that’s what we should give them. What’s the biggest problem people have with batteries? They go dead at the most inconvenient times. So what’s the number one battery attribute? Long-lasting life, of course. If long lasting is what people want, that’s what we should advertise. Right? Wrong. What researchers never tell you is that some other company already owns the idea. They would rather encourage clients to mount massive marketing programs. The theory is that if you spend enough money, you can own the idea. Right? Wrong. Success often leads to arrogance and arrogance to failure. When people become successful, they tend to become less objective. They often substitute their own judgment for what the market wants. As their successes mounted, companies like General Motors, Sears, and IBM became arrogant. They felt they could do anything they wanted in the marketplace. Success leads to trouble. Digital Equipment Corporation brought us the minicomputer. Starting from scratch, DEC became an enormously successful $14 billion company. DEC founder Kenneth Olsen’s success made Ken such a believer in his own view of the computer world that he pooh-poohed the personal computer, then open systems, and, finally reduced instruction set computing (RISC). In other words, Ken Olsen ignored three of the biggest developments in the computer category. (A trend is like the tide – you don’t fight it.) DEC is no longer with us. The bigger the company, the more likely it is that the chief executive has lost touch with the front lines. This might be the single most important factor limiting the growth of a corporation. All other factors favor size. Marketing is war, and the fist principle of warfare is force. The larger army, the larger company, has the advantage. But the large company gives up some of that advantage if it cannot stay focused on the marketing battle that takes place in the mind of the customer. Small companies are mentally closer to the front than big companies. That may be one reason for their rapid growth in the past decades. They haven’t been tainted by success. In a narrow sense, line extension involves taking the brand name of a successful product (e.g., A1 Poultry Sauce). Needless to say, the A1 poultry launch was a dismal failure. So what happens? The CEO lies to Wall Street and then turns around to tell the marketing people what is expected in terms of profit and growth. They in turn scramble back to their offices and try to figure out how to make those unreasonable numbers. Brash predictions about earnings growth often lead to missed targets, battered stock, and even creative accounting. But worse than that, they lead to bad decisions. As panic sets in, upper management falls into the line extension, or the everything-for-everybody trap to drive the numbers up. Rather than staying focused on being strong somewhere, they opt for being weak everywhere. Their only hope is that they will be promoted before it all hits the fan. Much has been written about the likes of DEC, Xerox, AT&T, and Kodak and their efforts to move from slow-growth to high growth businesses. 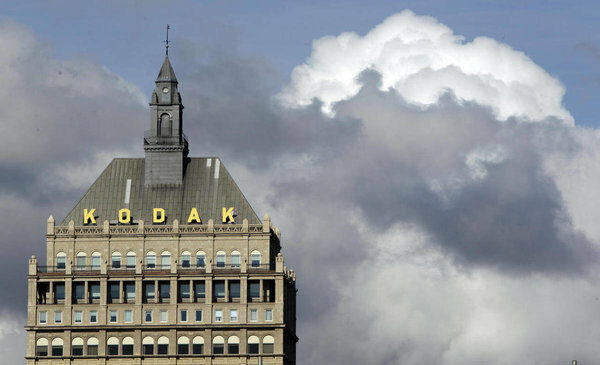 When this is exacerbated, companies are faced with what have been called disruptive technologies: DEC faced the desktop computer revolution; Xerox, the surge in laser printing; and Kodak, digital photography. Transforming a company when the underlying technology changes is no easy task. First of all, Wall Street is upset because lots of shareholder money starts to disappear in efforts that earn very little in return. Traditional customers are often alienated as the sales force’s attention becomes diffused by new ventures. The internal folks become very uncomfortable with all this change in the air. Though difficult, leaders have no choice in this matter. They must find a way to move to that better idea or technology, even if it threatens their base business. If they don’t, their future will be in question, especially as that technology is improved and picks up momentum. When the CEO or high-level management doesn’t take charge of strategy, things rarely go well. In today’s rough-and-tumble world, marketing strategy is too critical to be left to middle-level management. That’s why David Packard of Hewlett Packard fame once said, “Marketing is too important to be left to the marketing people.” After I make that “you’re in charge” speech to general managers or CEOs, they often tell me that they don’t want to undermine their employees. They want to give them the responsibility they were promised. That’s all well and good for morale, but I encourage them to think the Navy way. When a naval vessel has a problem, the ultimate responsibility is not that of the young officer who had the conn when the accident occurred. It’s the captain of the ship who must answer to that board of inquiry. And chances are, his career is in trouble. In today’s world, it’s the CEO who has to answer to the board when things go bad. These days it’s your job on the line so you better take charge. To do that you must be like Steve. I’m talking about Steve Jobs who was without a doubt, the best marketing CEO in the business. Whether it’s design, advertising, branding or PR, you knew that he was involved. He made sure those bad things never happened at Apple.